Each generation of believers faces numerous challenges to the mission of the church. While the church does not have control over the large issues of each generation, its response to them is a matter of Kingdom stewardship. J. D. Payne gets to the heart of the twelve most important problems we face today. 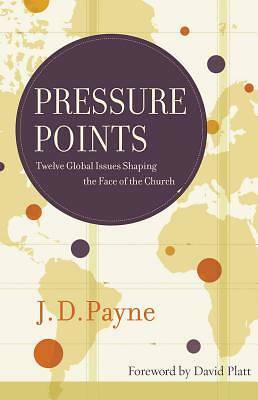 In Pressure Points J. D. helps us see how we can prevent these global issues from pushing the church off its biblical moorings, so we can absorb the pressures while responding in a way that remains faithful to the church's calling and mission. Come to see that despite all the challenges, some of the greatest days for Kingdom advancement are ahead of us.